Should This Scottish International Remain A Part Of Rodgers’ Future Plans At Celtic? Any manager in the world would want solid squad depth so that the team does not get exploited by injuries or fatigue. However, too many players in the same position can come back as a boomerang right at you. One thing that must be worrying Brendan Rodgers is Celtic having too many players in the wide area. During his time at Liverpool, Rodgers could never establish himself as a manager who can rotate his squad well. Keeping each individual happy by offering them enough time on the pitch isn’t easy and Rodgers is not good at it. Managers like Sir Alex Ferguson or Rafael Benitez are perfect examples of those who can use each player at his disposal perfectly and Rodgers needs to improve his rotation policy. It’s not something you learn overnight and that is why there is a big chance that a few Celtic wingers will struggle for game time this campaign. Stuart Armstrong, Callum McGregor, James Forrest, Ryan Christie, Gary Mackay-Steven and Patrick Roberts are the six wingers available at Rodgers’ disposal right now with Kris Commons and Scott Allan also capable of playing out wide. Given the type of manager Rodgers is, he will play his best XI week in week out and the rest will just languish on the bench. Moussa Dembele’s arrival at Parkhead makes things even worse for the wingers as Rodgers is likely to opt for two strikers up front in most games with Griffiths and the young Frenchman. So there’s a big chance that players like Christie and Forrest won’t even get a bit-part role. However, to our major surprise, it has been reported by The Evening Telegraph that Gary Mackay-Steven could be made available for transfer by Rodgers. 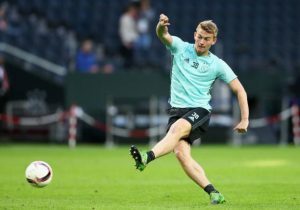 Letting the 25-year-old move out of the club would be a major blunder from the Northern Irishman. The Scotsman does not deserve to be shown the exit door following the impact he made at the club since joining from Dundee United in January 2015. The 25-year-old had a great last season with six goals and nine assists from 37 games. Ronny Deila, sometimes had no option but to bench the Scottish international last season in few games in order to keep everyone happy or else the Liverpool youth graduate could have done even better. The Scottish international made a strong impact in the games he featured with important goals and ability to create. The only solution to get rid of the unwanted size of the squad is to ship out youngster Christie on loan and show Forrest the exit door on a permanent basis. Forrest is the least deserving player to stay at Celtic right now following his inability to prove his worth in recent seasons. Mackay-Steven deserves to be a key player at Parkhead for plenty of years to come. Snehanjan used to a former columnist at The 4th Official. Fan of KK, Cricket and Liverpool (in no particular order). Predicted 4-4-2 Leicester City Lineup Vs Barcelona: Can Ranieri’s Side Pick Up Their Pre-Season Form? What Is The Best Possible Crystal Palace Lineup Right Now As Things Stand? 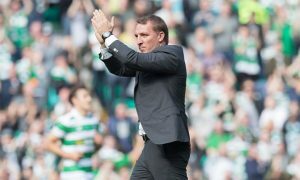 West Ham United Interested In 22 Y/O Celtic Star: Rodgers Must Block The Move! 4-2-3-1 Predicted Celtic FC Lineup Vs Hearts: Dembele To Return To The Starting XI? Celtic Among Clubs Interested In Tottenham Hotspur Starlet: The Right Fit For Rodgers?